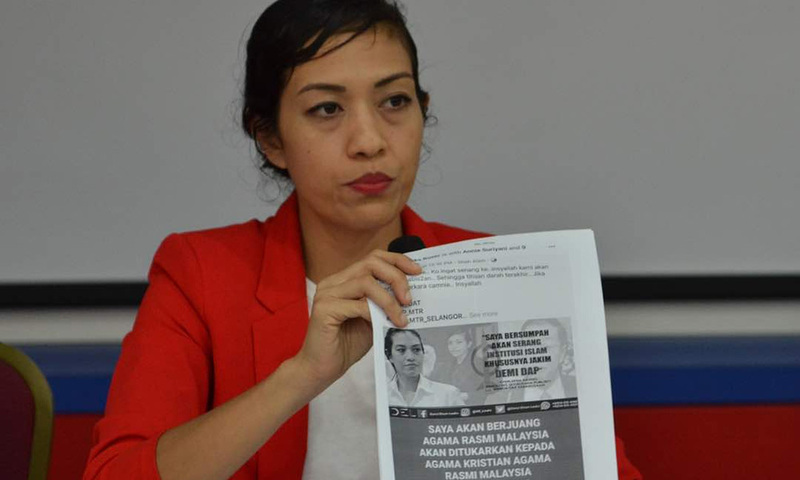 COMMENT | The online abuse against DAP’s Syerleena Abdul Rashid is typical of the mob mentality of those who attack someone like Maryam Lee or anyone else that goes against the groupthink that certain quarters feel the need of defending. While the mob mentality of the opposition revolves around specific narratives, that of establishment partisans usually centres on the role of race and religion and how opposition operatives, either political or social, are eschewing their traditional roles. If you read some of the comments whenever someone like Umno's Azalina Othman Said, for instance, says anything, and contrast this with the comments received by opposition operatives like Syerleena, both display a level of misogyny that ironically opposition supporters do not see or seem to understand. Women who participate in politics from both sides of the political divide tell me that the level of abuse they receive online is far worse than the men, who more or less say the same thing. We are talking about a specific type of hate here.